“Friday Beats” is BACK folks so it’s time to PARTY! 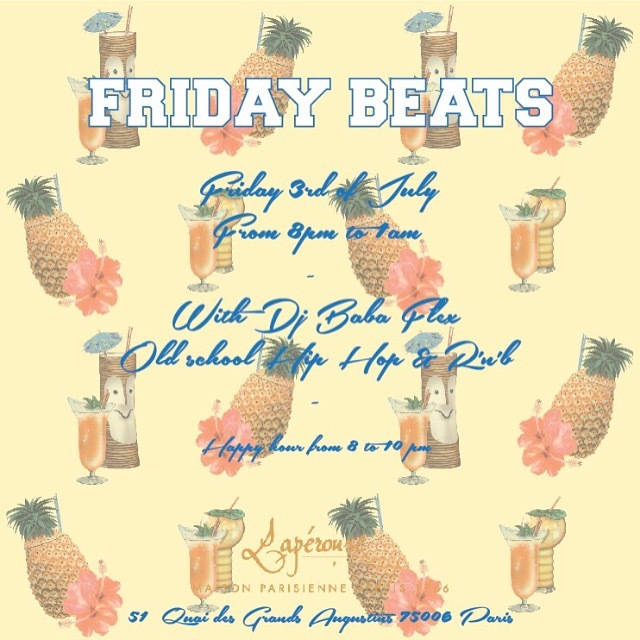 Come and kick off the weekend in a smooth way at Lapérouse this Friday and groove to some old school beats mixed by none other than Dj Baba Flex. “Friday Beats” is all about kickin’ it like we did back in the days so get ready to take a trip down memory lane.